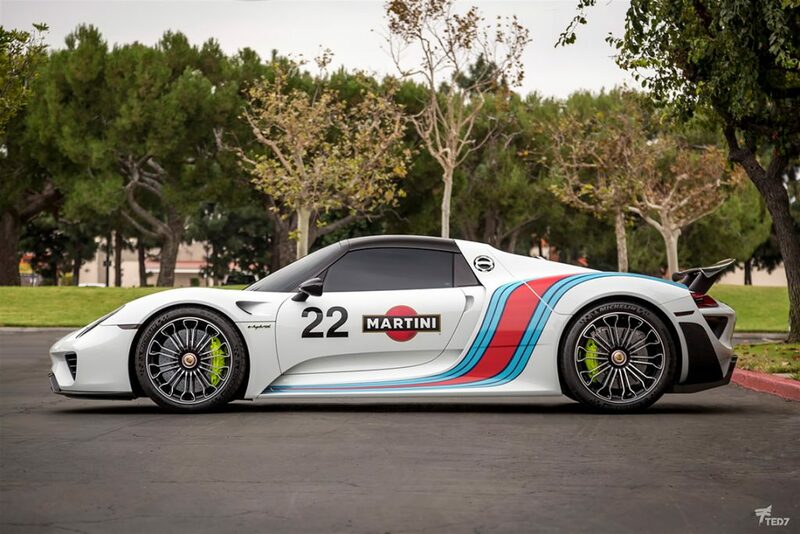 This Porsche 918 Spyder got the double treatment of full body paint protection and a stunning Martini livery. 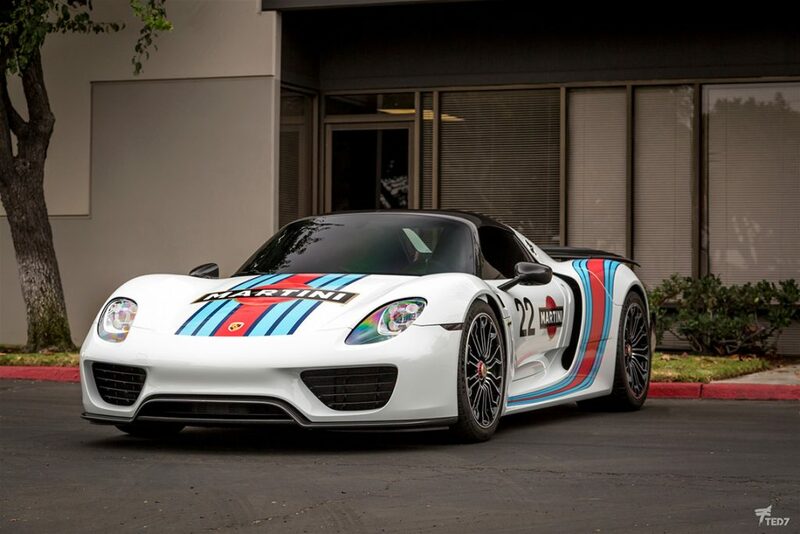 The first thing we did, was we protected the 918 Spyder with Xpel Ultimate clear paint protection film. The whole thing. 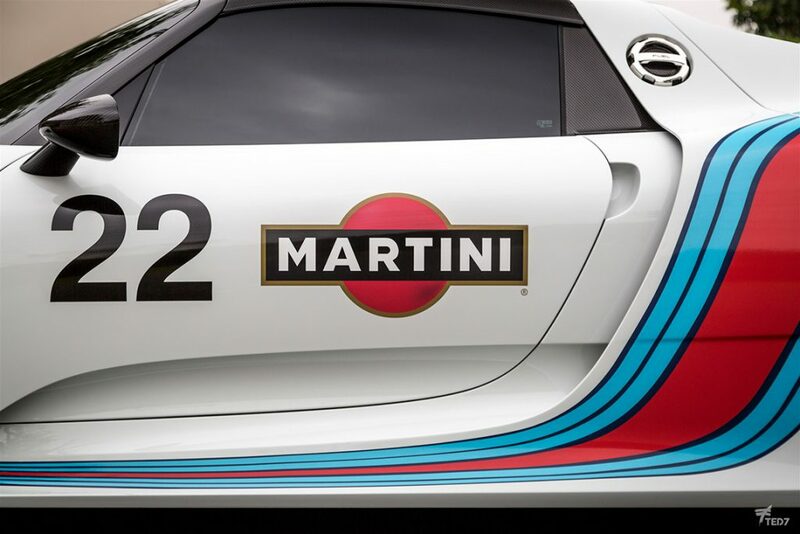 Then, with the protective clear film in place, the car was treated with a custom Martini livery. 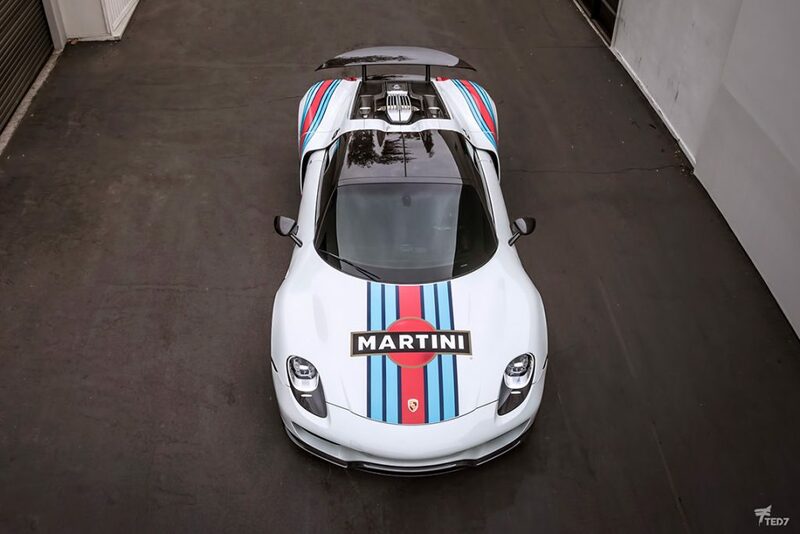 The car looks the part in its Martini garb. More importantly, it’ll keeps its value thanks to the protection offered by the Xpel film. 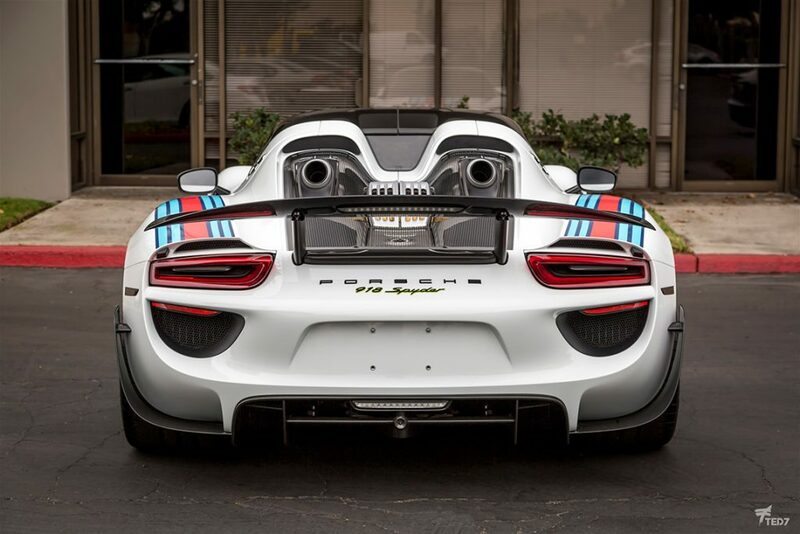 Scratches and rock chips will not be a problem for this very special Porsche 918 Spyder. Xpel Ultimate clear film is self-healing and will make most surface scratches disappear in seconds. 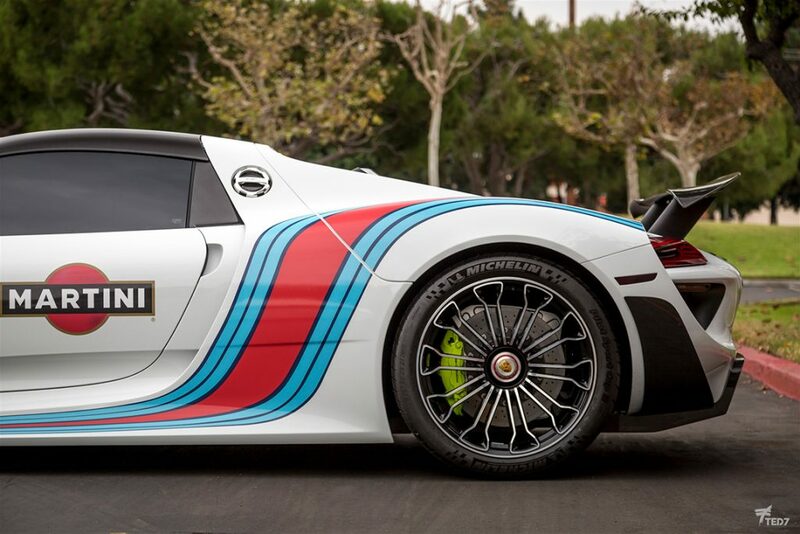 It’s almost pointless to have cool graphics on a high-end car or supercar without taking into consideration paint protection. The cost of repainted surfaces is high, but the real hit comes in lessening the value of the car — no matter how good the repaint. Factory paint is king. The only way you can avoid rock chips and tiny scratches on an unprotected car is by not driving it. And even still, it could get scratches in your garage. You know it’s happened to you before. It’s happened to all of us. Plus, what fun is it not driving it? You could get just the clear bra. If you want more color in your lift, you could do a full body clear bra and top it off with graphics such as these. When the time comes that you want a different look, simply have the graphics peeled off. You can then enjoy the factory look of the original paint, still protected by the clear film… or you can go all out and have new and fresh graphics put in place. This is one way to have a new car look without a new car. All photos are by Ted 7.